Why you should hire an Agent to guide you through the Process. At Lisa Southern Real Estate we have experience working with Buyers looking for new construction homes in Raleigh, Apex, Cary and surrounding areas. We are very familiar with all of the new developments in the area and would be happy to show you around. Let’s meet and discuss your goals, budget and timeline. We can help you find the right fit and make your dream home a reality. Choosing the right professionals to guide you is the key to successfully navigating the custom home building process. After all, this may be your first experience in building a new home, but the right processionals have done this many times and can anticipate challenges before they become problems. Building a dream home is an exciting, yet daunting process. From choosing the right lot to choosing the right builder you are posed with many factors to research and weigh. Then when the building process starts the decisions and choices that need to be made along the way can be overwhelming. Some people say they would never do it again and some people say it was the best decision they ever made. The Triangle Builders Guild is a great resource for finding a Custom Home Builder in Raleigh if you are considering building your dream home the Triangle area of North Carolina. The Triangle Builders Guild brings together 24 of the finest and most reputable custom builders in the area offering new construction homes in all price ranges and architectural styles. 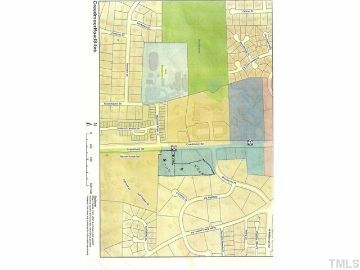 Whether you own a lot or want to purchase an available lot in a Raleigh area neighborhood, there is a builder for you. Even hiring the best builder can still leave a lot of questions and a lot of coordination on the part of the homeowner. Which lot or piece of land should you choose? If the home is already under construction, how do you negotiate the price and finishes? If you are building in a neighborhood, what are the value of other homes? If you are building in an existing neighborhood you definitely want to consider the quality, size and finishes of other homes. You want to be careful not to over invest and end up with a home that will be a challenge to sell in the future because the other sales comparables don’t support your price. You also want to make sure you don’t over pay for the land or overpay for the home. An experience Buyer’s Agent (Realtor) can help with any part of the process of building your dream home. Whether you need assistance in finding the perfect piece of land or a lot in a neighborhood, an experienced Realtor can help you assess values and represent you in making an offer. If you are considering new construction in an established neighborhood, a Realtor can represent you and negotiate the best price, terms and conditions with the builder. Your Realtor can also represent you throughout the building process ensuring you get the proper inspections along the way and that your best interests are always represented. Your Realtor can also give you advice on the value of the improvements and upgrades you choose in relation to other homes in the neighborhood. Choosing a reputable builder is vital. Choosing the cheapest builder is not advised. Sometimes you get what you pay for and may end up with more headaches than you bargained for. Work with your Realtor to interview builders and find the right one for you and your budget. Your Realtor will guide you throughout the process negotiating, monitoring and responding to concerns. Keep in mind, the builder is looking out for their bottom line, but your Realtor is looking out for yours. Here are all the new construction listings in the area. Some are currently under construction and some offer the opportunity to build from the ground up. Click on your city of choice and then filter your results.